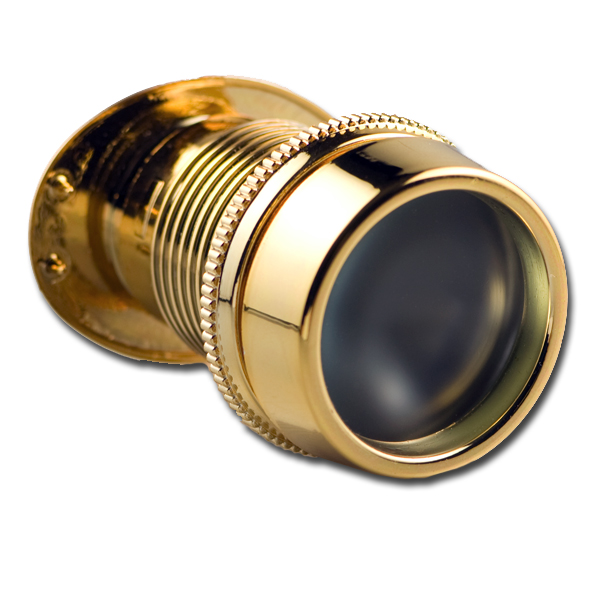 Door Viewer / Door Scope model DS175-ELP is an amazingly high tech optical device that has practically replaced conventional peep holes. 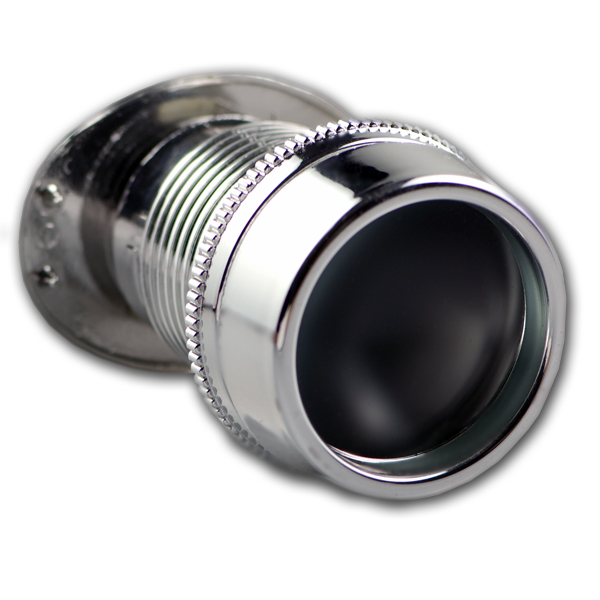 A sleek ectroplated finish provides a chrome polish in either chrome or brass to the DS175. Easily mounts to any door, the DS175-ELP allows for a clear view of the outside even if you stand 6 feet away from the door. With an ultra wide viewing angle, Door Scope DS175 leaves no area for solicitors or unwanted intruders to conceal themselves. Door Scope requires absolutely no electrical connection and is a simple do-it-yourself job to install. The viewing image is free of distortion even at the outmost edges. Say good-bye to your old peephole and stop stressing your eyes. Before installing, hold door viewer with your hand and test the image is satisfactory. We suggest testing day and night and adjust for height. Affix the enclosed drill template/sticker on a desired place where the door viewer is to be installed. Be sure that the label is stuck on the outside of the door and is kept horizontal in reference to the level line given on the sticker. Caution: The two or 4 small index holes are drilled from the outside and not deeper than 1/4 inch. Do not drill all the way through. Remove the template/sticker from the door. Unscrew the outside piece and insert it into the hole from the outside. With the outside piece held in place and its index pins dropped into the index holes, screw in the main body from the inside. After the outside piece and the body are tightened, fasten the ring nut on the inside to firmly secure the viewer to the door. Great little product. Lens is frosted but on a bright day I'm able to see very clearly that someone is on the other side of the door. Installation was pretty straight forward and I have no problem installing it myself in the door. If you've never used a hole saw, I would recommend getting a piece of 2x4 and practicing before drilling into your door. ASD warrants the Door Viewer DS238 to be free of defects in materials and workmanship for one year. Please contact us at 818-701-9200 if you have any warranty inquirers.